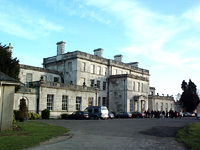 Addington Palace has had various owners since it was originally built in the 16th century. On the death of Sir John Leigh in 1737, a forty year legal battle ensued before ownership was passed to his cousin, Ann Spencer, who in turn sold it to Barlow Trecothick, Alderman of the City of London and Lord Mayor in 1770-1771. While much refurbishment took place over the years, the building, a Palladian style mansion with two main storeys, mansard roof and basement, and single storey wings to the North and South, was completed in 1778. An Act of parliament in 1807, and finance from the sale of Croydon Palace (it being "in so low and low and unwholesome a situation") enabled the mansion to be purchased for the Archbishops of Canterbury. The six Archbishops that lived in addington Palace were; Charles Manners-Sutton (1805), William Howley (1828), John Bird Sumner (1848), Charles Thomas Longley (1862), Archibald Campbell-Tait (1868) and Edward White Benson (1883). Five of these are buried at nearby St. Mary's Church, the exception being Benson. In 1898, the Archbishops sold the house and its grounds and further restructuring and refurbishments, by various owners, followed, including the construction of a third storey. In 1913, a local golf club bought a portion of the land and in 1914 the house was taken over by the Red Cross and became a hospital for enteric fever and malaria. 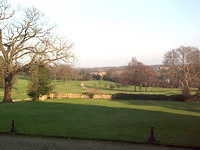 Later, some land was sold for building, but in 1930, Croydon Corporation acquired a substantial part of the estate and converted it into a public park.